Get the original light-up disco experience. These nifty Flashing T-Shirts combine an Electro Luminescence Graphic Equaliser display with fresh new designs. The graphic equaliser responds to the music around you, jumping in time to your beats. Whether you choose the old-school TQ Original or the laid back TQ Hemp Leaf; these shirts light up your night for the world to see. 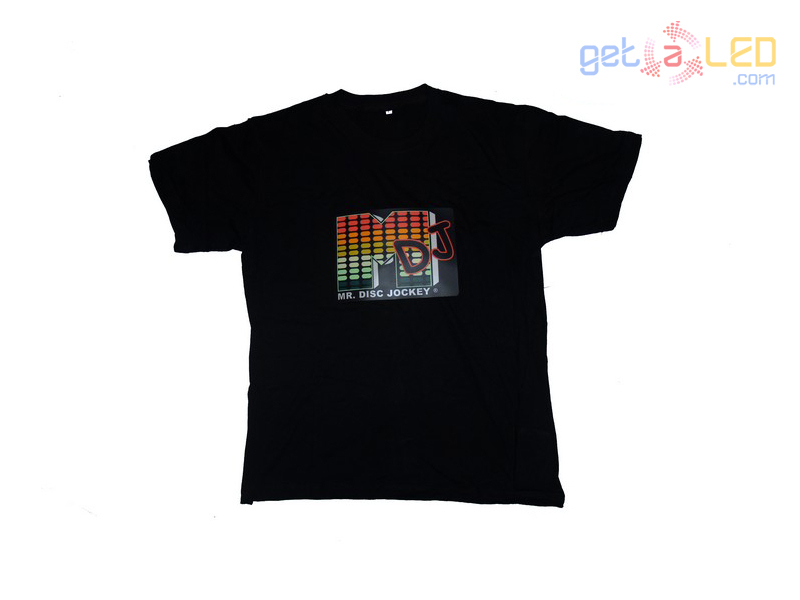 Led t-shirt MTV DJ buy at best price online. If you want custom disco lighting el. t-shirts with your own logo or design just fill up order form directly here. We will produce LED T-shirts for you with the supplied logo or graphics design exactly by your requirements. With this LED shirt you will definitely have a great marketing tool to promote your business activities.